From BlogTO.com, November 6, 2017. 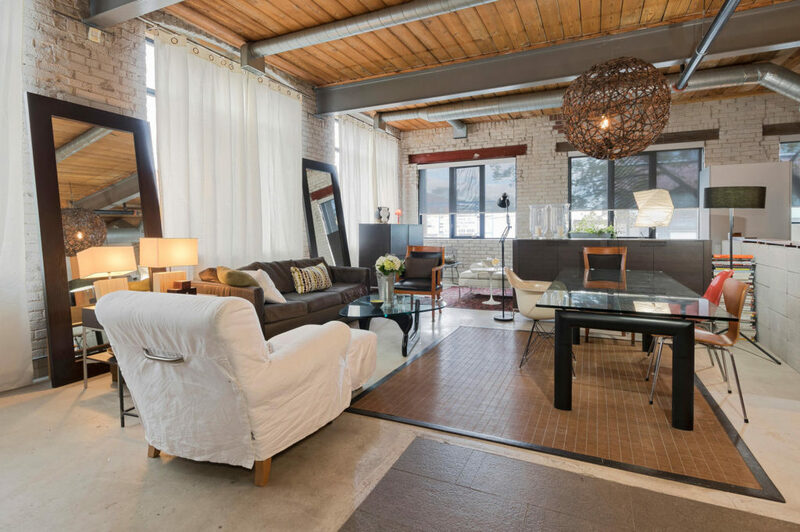 A one-bedroom loft on the first floor of a former Rawlings baseball glove factory, near Sorauren Park. 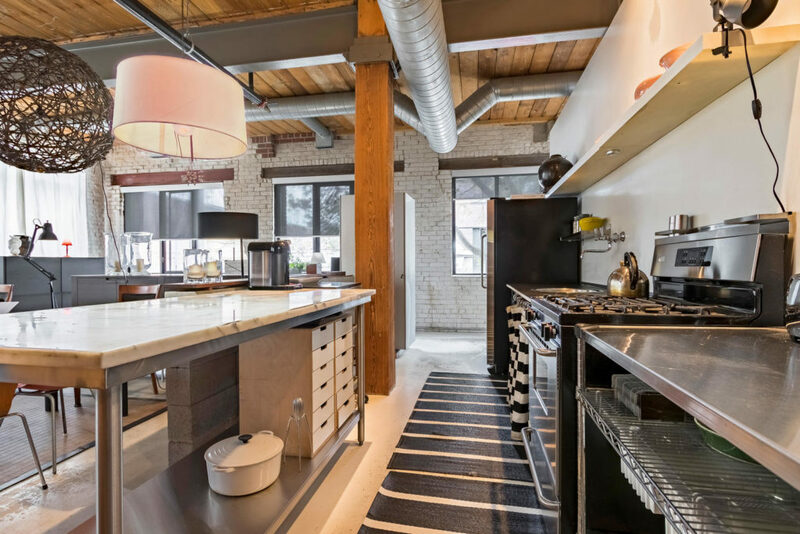 Built in 1909, the four-storey factory was converted into 10 live-work lofts in the ’90s, which were all originally sold as empty shells for their owners to customize. 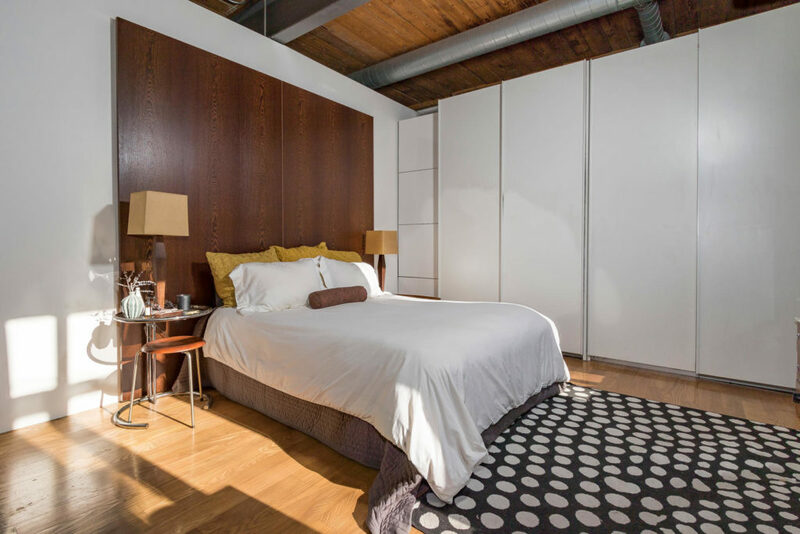 This unit has been with the same owner—an interior designer—ever since, but now she’s selling. Her touches include a stainless steel worktable in the kitchen, stone tiles in the entryway and a custom wardrobe unit in the bedroom. 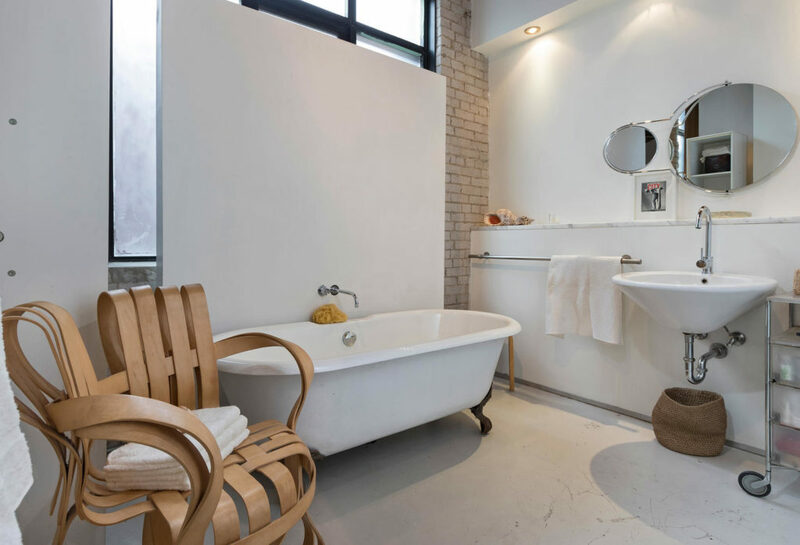 The place is set up as a one-bedroom suite, but it’s big enough that it could be converted into two bedrooms. 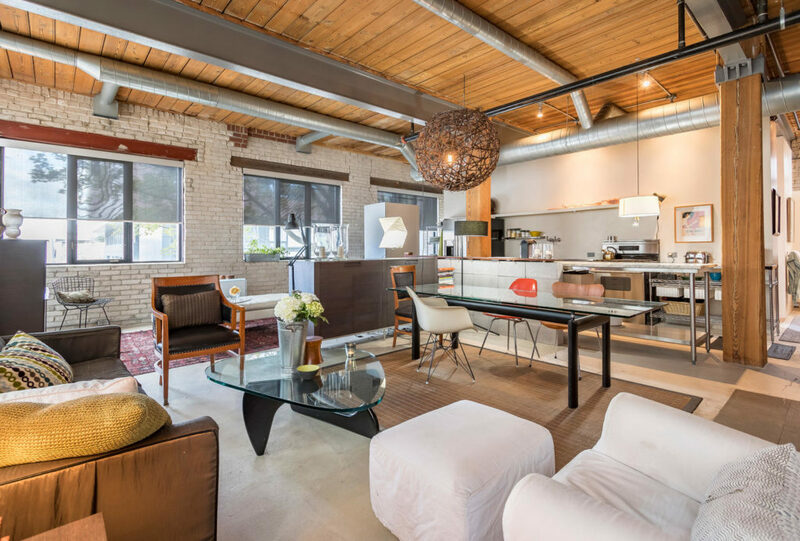 With 11-foot ceilings, exposed brick, Douglas fir columns, concrete floors and warehouse-style windows, this loft has a lot more character than a typical condo.